A VA home loan is either for a veteran or a soldier currently enlisted. These loans allow for no down payment & no monthly mortgage insurance. 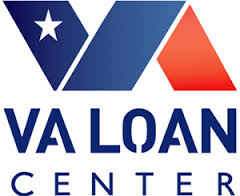 These are fantastic loans if you are a veteran. A lot of veterans qualify for a VA loan and do not realize it. Most mortgage companies state you must have at least a 620-660 credit score and high income to qualify for a VA loan. These companies again are using overlays. You can get a VA loan with a 500 credit score. If you happen to have enough residual income there is a good chance you can qualify up to and maybe above a 60% D/I ratio. In layman’s terms you can have lower income and still qualify for a VA loan. When your credit score is below a 620 usually you have to do a manual underwrite, which 99% of the mortgage companies do not do, therefore you are turned down. We do both manual & automated underwriting on VA loans.